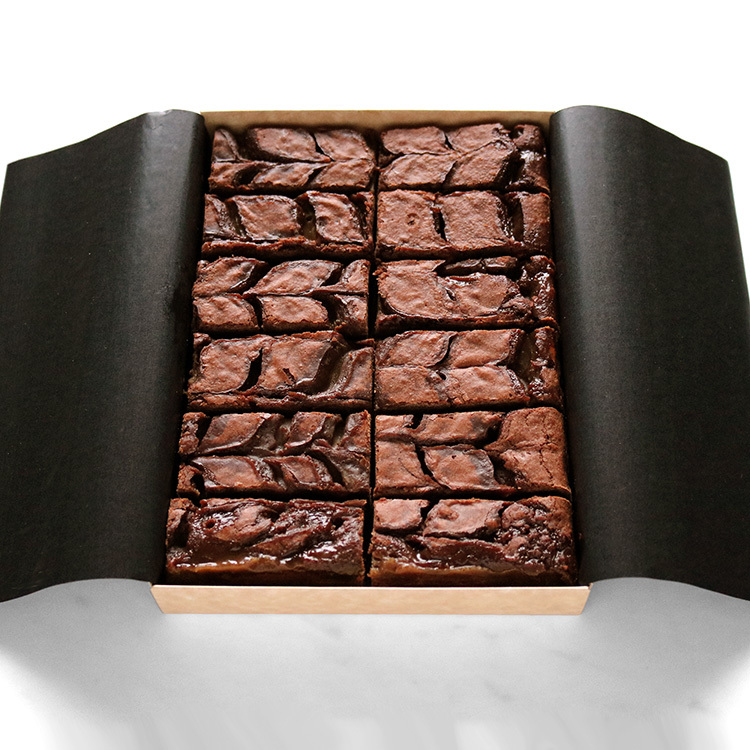 The classic Éponine Brownie, topped with generous swirls of salted caramel. 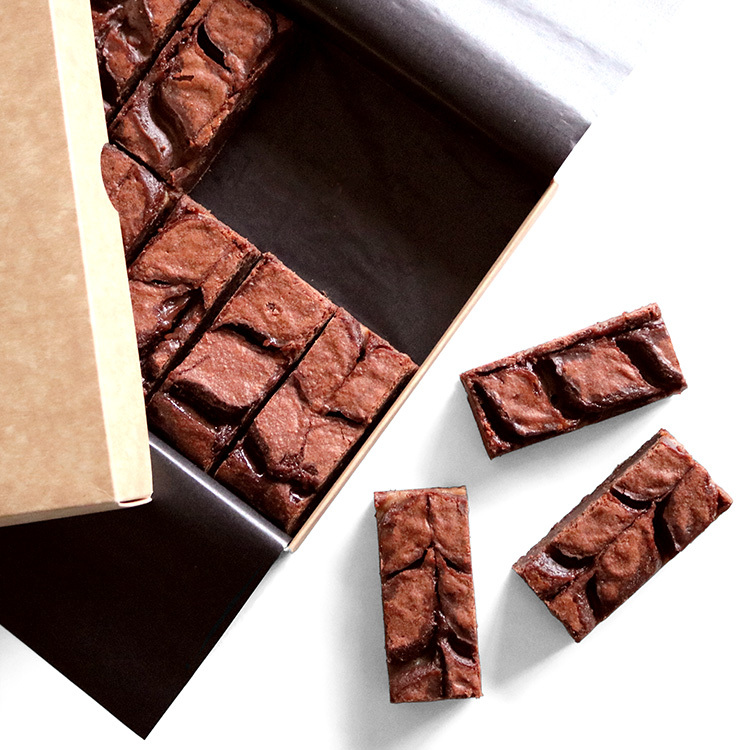 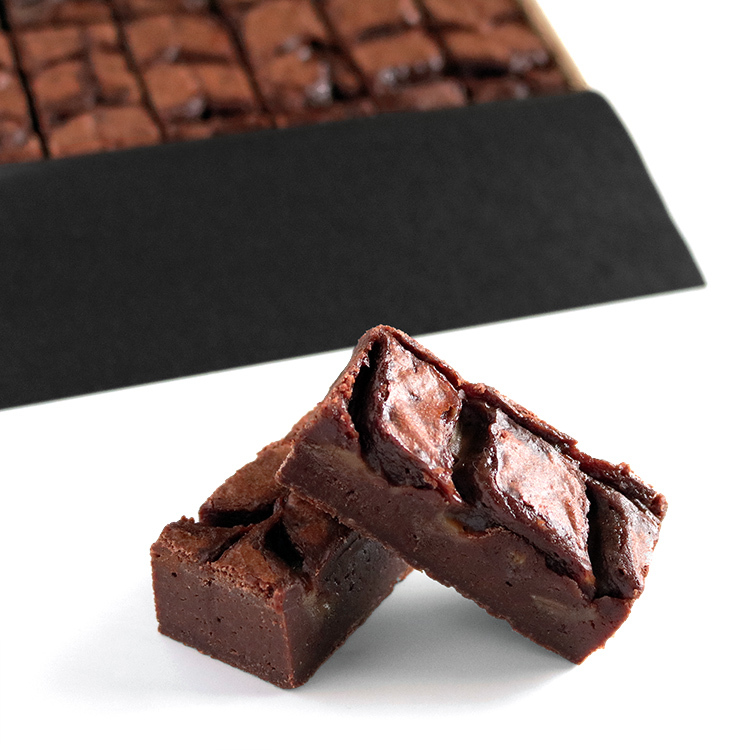 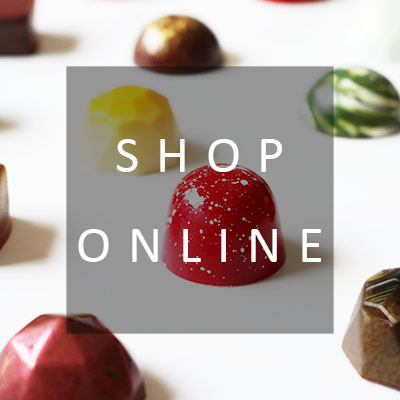 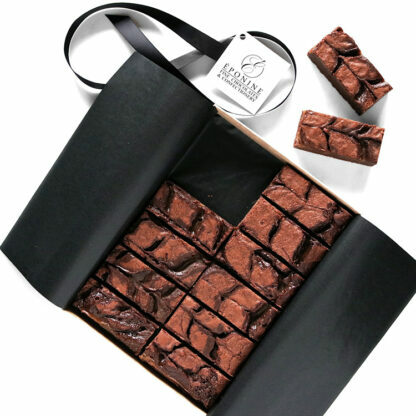 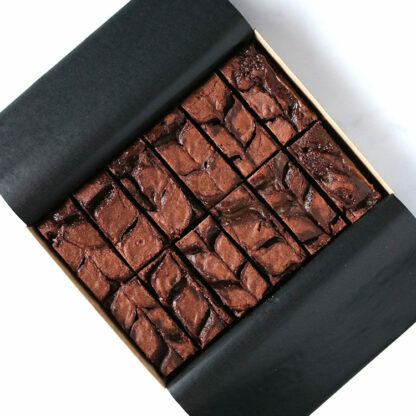 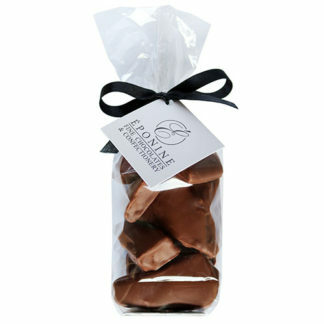 Our gourmet brownies are dense and deeply chocolatey, made with pure 70% Valrhona chocolate. 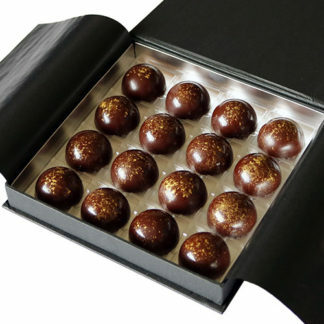 For extra indulgence, we’ve feathered our award-winning sea salted caramel across the top before baking, creating gooey channels of caramel through each bite.